Bulgarian kids should have the opportunity to learn about their Orthodox Christian heritage, stated Bulgarian Orthodox Church Patriarch Neofit. Sunday Neofit extended an address to the clergy and people of the Church on the occasion of the 60th anniversary of the restoration of the Bulgarain patriarchy. The message, read out by bishop Naum, Chief Secretary of the Holy Synod, made a strong case for the introduction of religion as a subject in school with a special emphasis on Orthodox Christianity. It also reflected on the last 60 years of history for the Bulgarian OrthodoxChurch. “The past decades were not easy, but with God’s help, immutably led by the spirit of truth all of us, according to the measure of our powers, bore witness to the resurrection of Christ,” said Neofit. “Today we are calling and will continue to call for more oportunities for the eternal salvation mission of the Church in our dear homeland and beyond her confines,” stressed the Patriarch. 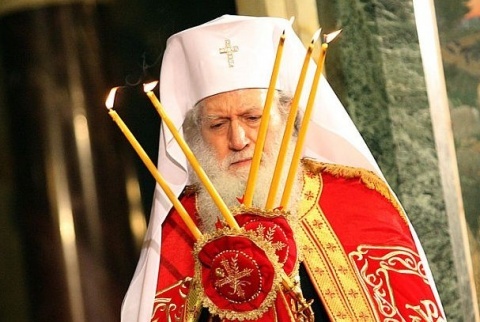 Patriarch Neofit also reflected on what he called a “spiritual crisis” that Bulgarian society is going through, and which according to him is deeper than any financial and political troubles. “There is a crisis of values, a crisis in thinking through the eternal truths about God, the world, and humanity,” said Neofit. Sunday the Patriarch held a festive mass at the patriarchal St. Alexander Nevsky Cathedral in Sofia.